As Shahada Kinyaga, PSI Tanzania’s Adolescents 360 (A360) lead, notes: A360 is anything but traditional. Launched in 2016, A360 is revolutionizing how reproductive health services are conceived and delivered by and for adolescent girls across developing countries. Through a Human Centered Design (HCD) approach, A360 sources from deep consumer insights to spark new ways of unveiling health solutions. It’s a process that inspires innovation and instills trust, both with the girls A360 serves and the members a part of the project’s team. “HCD elevates our target population as equal project designers and implementers. 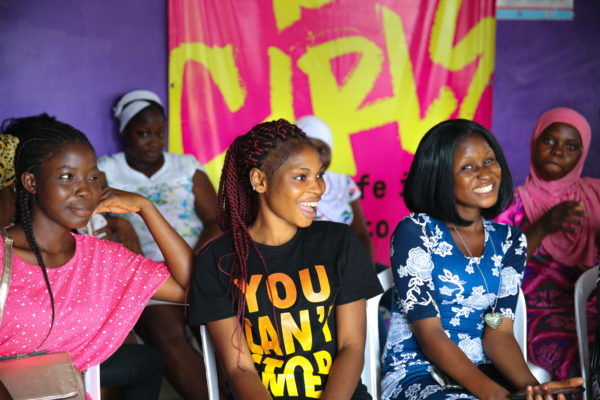 It means we are continually listening to what adolescent girls say they want so that we can deliver what they need,” said Shahada. For the Tanzanian group, A360’s HCD approach has informed how the team designs and how the team collaborates. As A360 Tanzania transitions to its next and final phase, how well the team listens—to each other and to the girls—will lay the groundwork for how well the Tanzania team can continue delivering, well after A360’s four-year timeline ends. Through an HCD process that partnered alongside adolescent girls, A360 Tanzania developed Kuwa Mjanja, a tailored blend of contraceptive and life-coaching services for urban and peri-urban Tanzanian girls, with and without children. In Tanzania, three in five girls aged 15-19 want but do not have access to contraception. Approximately one in two girls who attends A360 Tanzania programming, however, voluntarily takes up a modern contraceptive. By design, HCD provokes a mindset shift that prompts a new way of designing solutions, while instilling deep trust among those involved in the process. It’s this trust that will cement how the team approaches optimizing A360’s intervention. Kuwa Mjanja launched in late 2017 across four regions. By December 2018, the project aims to reach 10 regions across the country. Understanding what intervention elements are and aren’t working will be vital to adapt the program as A360 expands. To do so, A360 Tanzania is undergoing a calculated process to identify what components must remain intact or can be amended. A360’s quantitative data provides real-time guidance into the areas that programming can be improved. But the true value comes from understanding these numbers through the insights relayed by the girls and the team members working together to move A360 from pilot to optimization. “Our conversations are powering me understand the nitty gritty of what our A360 Tanzania programming needs to focus on and how we as a team can get there,” said Shahada. Through an adaptive implementation roadmap, the team has designated “red,” “yellow,” and “green” components to delineate what can, could and can’t be amended. For example, programs such as Kuwa Mjanja’s opt-out private moments for contraceptive sessions, counseling protocols and quality standards have been designated “red” for areas that must be replicated as is to maintain the interventions’ efficacy. Things like training girls as mystery clients to identify youth-friendly providers have been designated “yellow” to demonstrate what could be tweaked across sites, albeit with caution. Elements such as Kuwa Mjanja’s out-of-clinic pop-up events and whether or not public sector providers and staff are leveraged for outreach efforts have been left as “green,” denoting programmatic ingredients that A360 can change without interfering with the intervention’s effectiveness. The process equips the team to strategically identify what is working well—and why, and what is working best—and where.